All of the features of the Deluxe Model except it is a sparkling white color! Perfect for weddings or any event you feel needs a classier looking portable toilet. 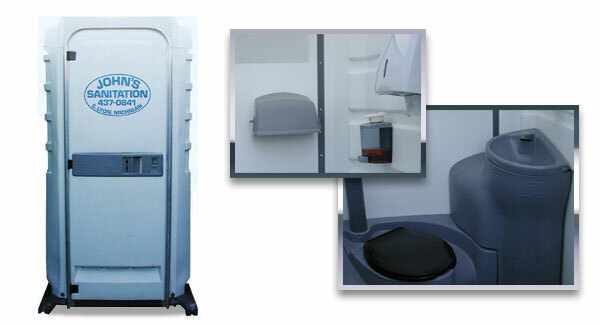 The model sets the standard for high quality portable restrooms. A standard-priced portable restroom with ­better-than-standard features; a plastic skid, solid plastic floor and unique ventilation system.